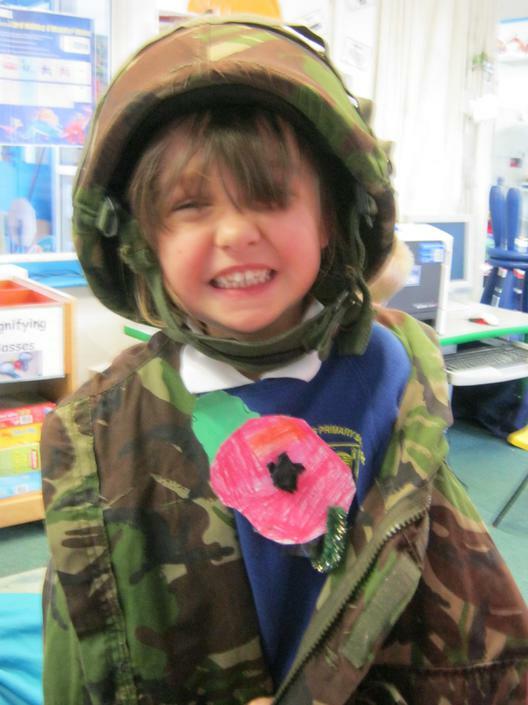 Remembrance Day Celebrations at Longmoor Nursery. 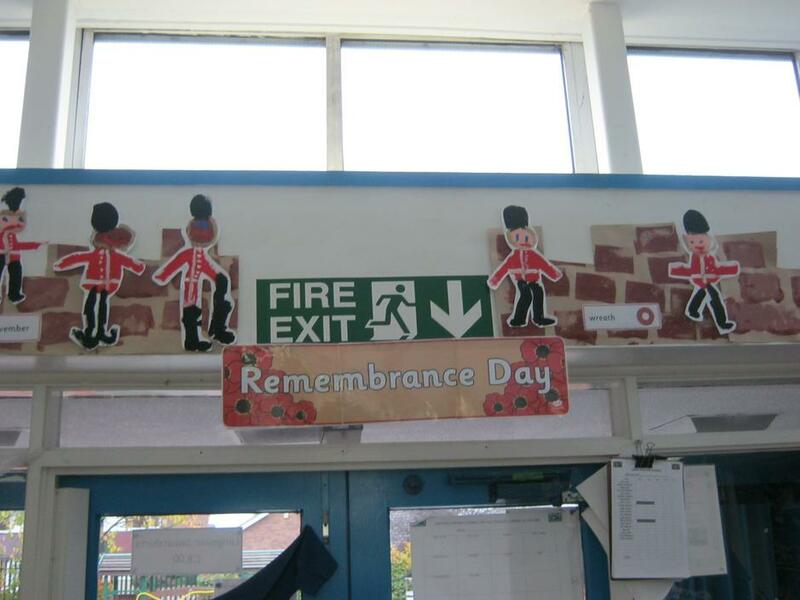 Learning about the Importance of Remembrance Day. 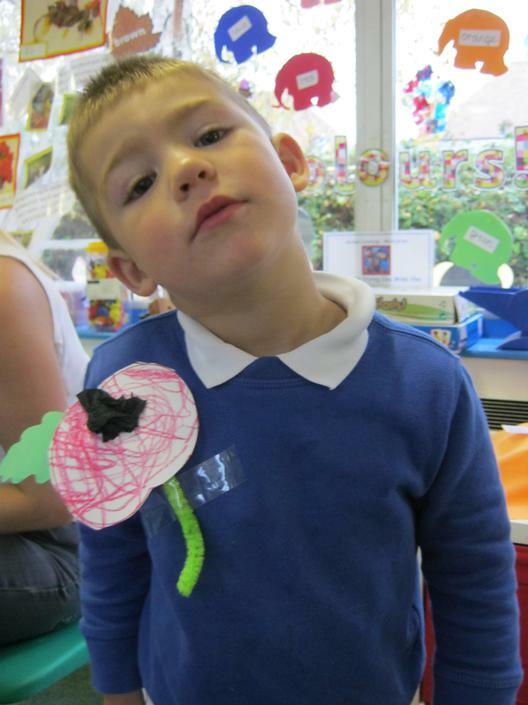 The children have been finding out all about Remembrance Day. 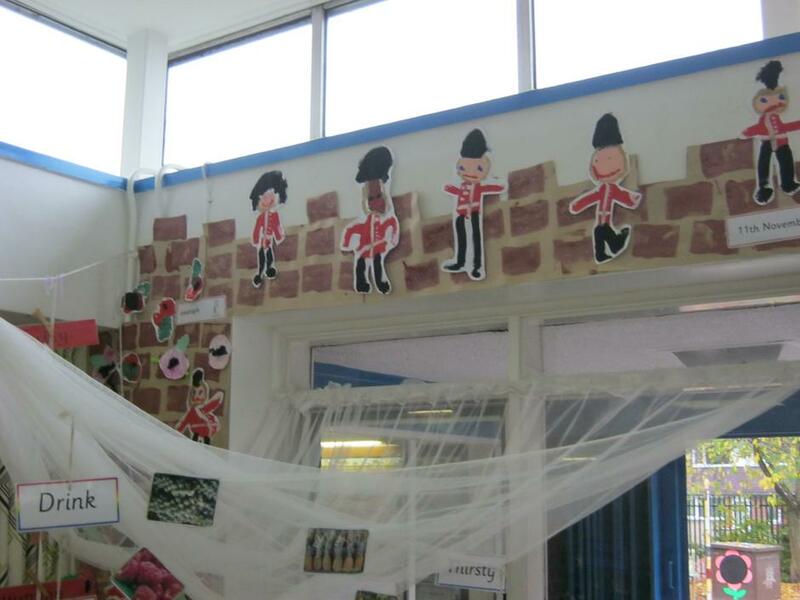 They looked at pictures of The Tower of London, when Paul Cummings' poppies were displayed last year, they found out about the Queen' Guards and why poppies are important. 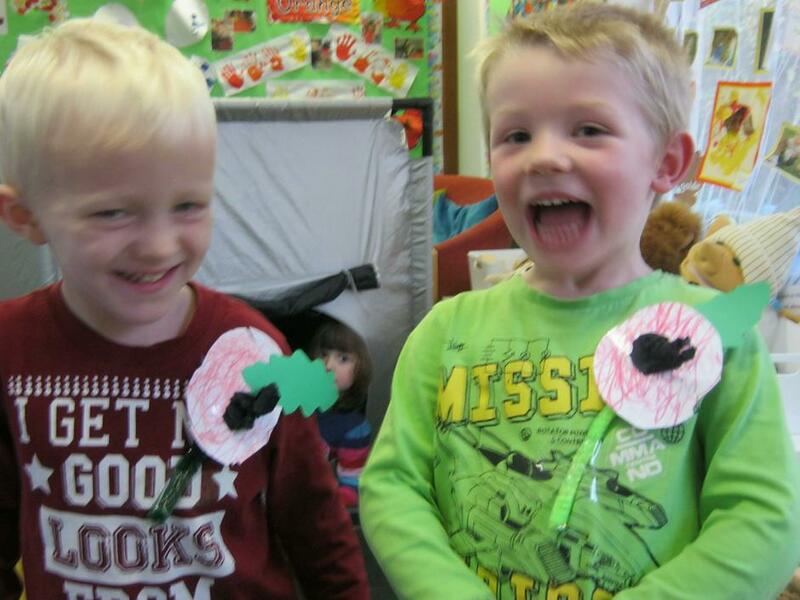 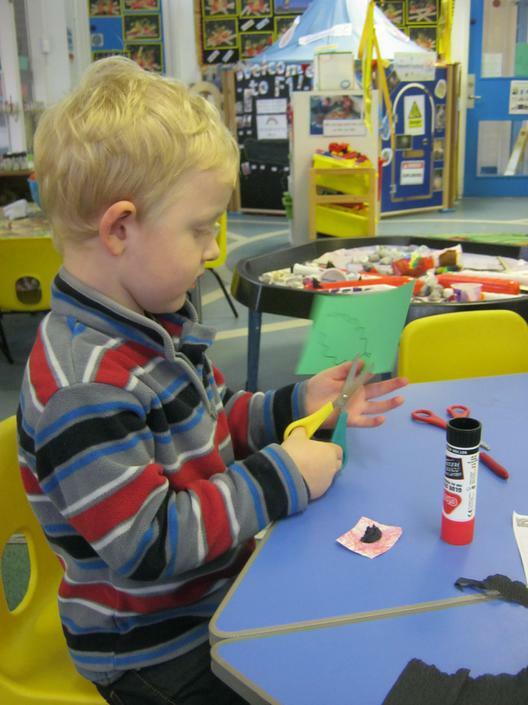 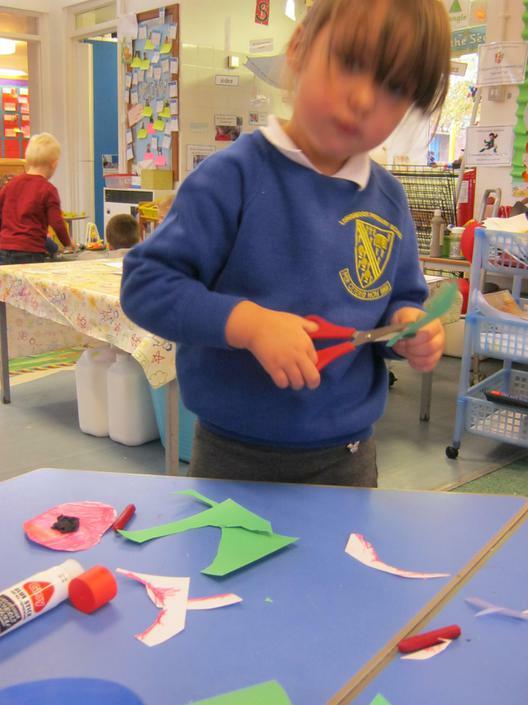 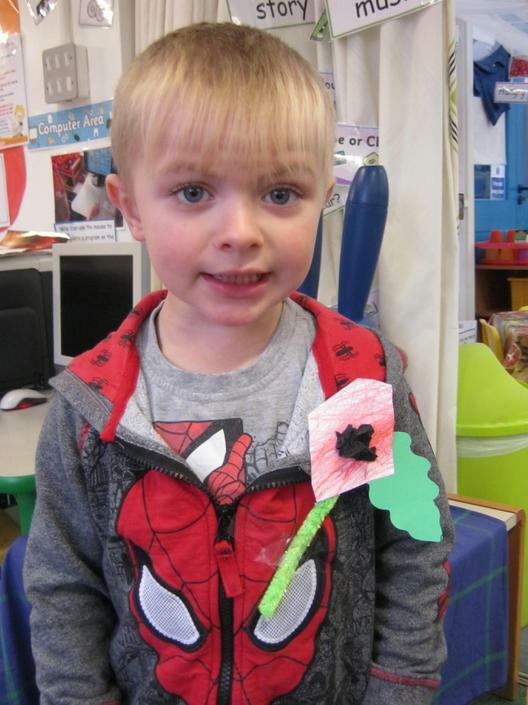 The children dressed as soldiers to see what it felt like and improved their cutting skills when making their own poppies. 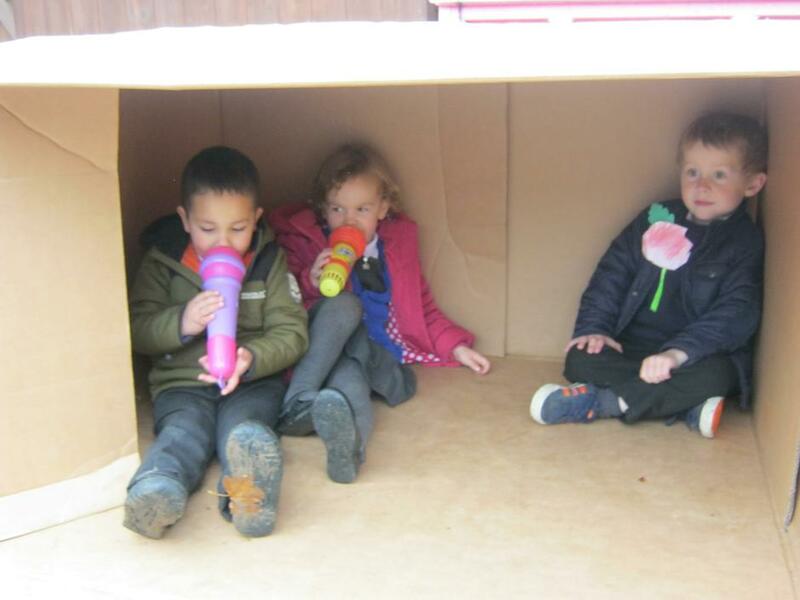 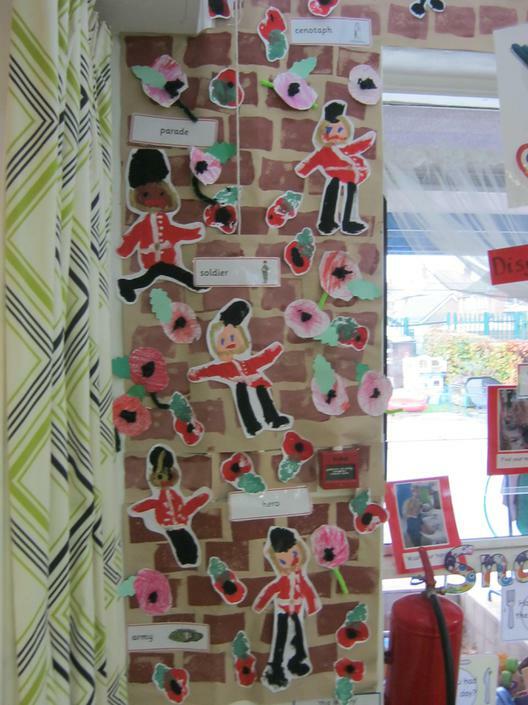 The displays in the nursery are fantastic, please see the pictures below. 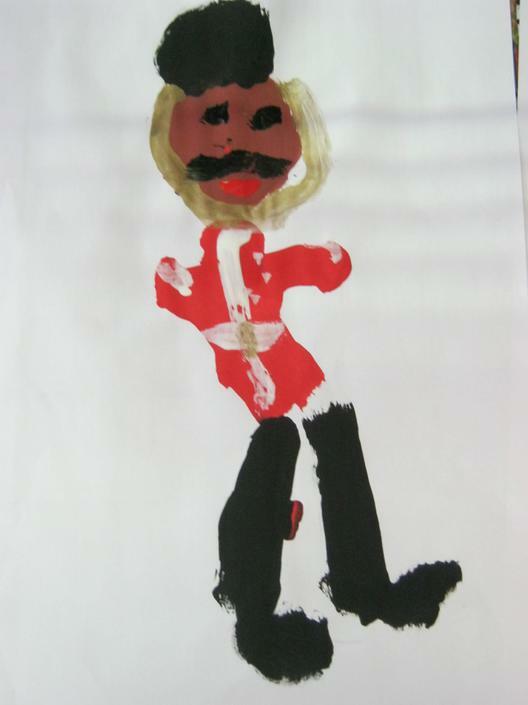 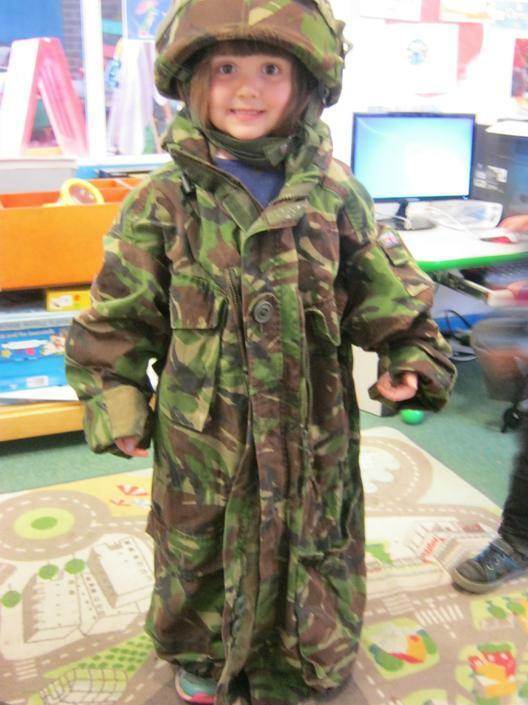 Learning about important British events starts at the age of 3 here at Longmoor.